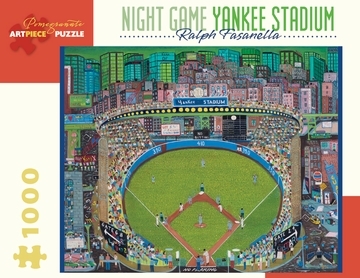 Born in the Bronx, Ralph Fasanella (American, 1914–1997) painted colorful works packed with observations about working-class urban life. A labor organizer blacklisted during the McCarthy years, he was “discovered” in the early ’70s when a New York magazine article proclaimed, “This man pumps gas in the Bronx for a living. He may also be the best primitive painter since Grandma Moses.” Although Fasanella dismissed the “primitive” label, the resulting attention allowed him to pursue his art full time. 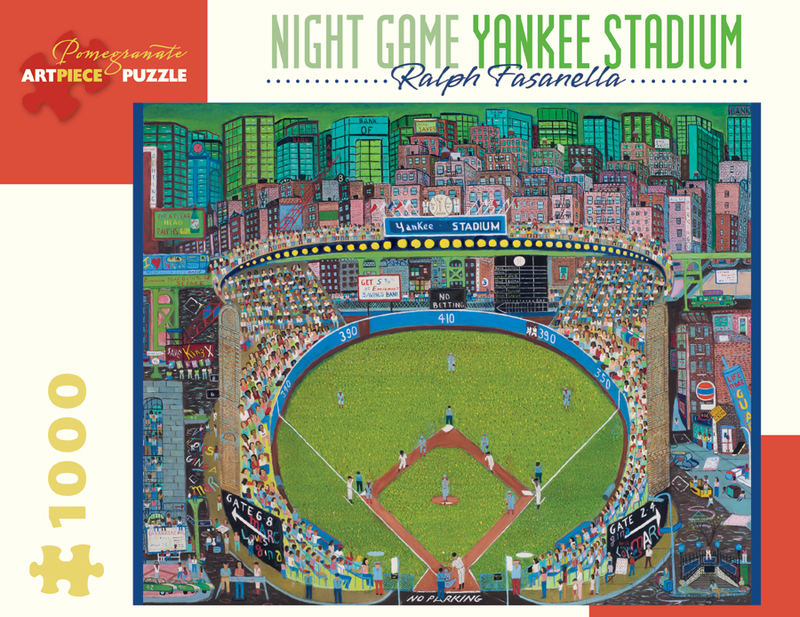 Night Game—Yankee Stadium captures the prominence of America’s favorite pastime, baseball, while positioning the stadium next to a jail housing African Americans. Graffiti includes references to Martin Luther King Jr. and Malcolm X.